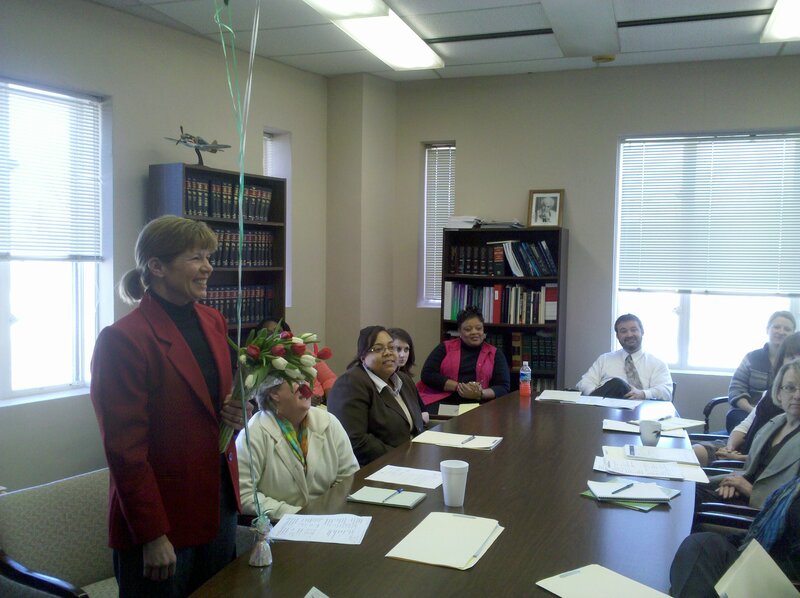 2011 Ellen Hines Smith Nominations Now Open! 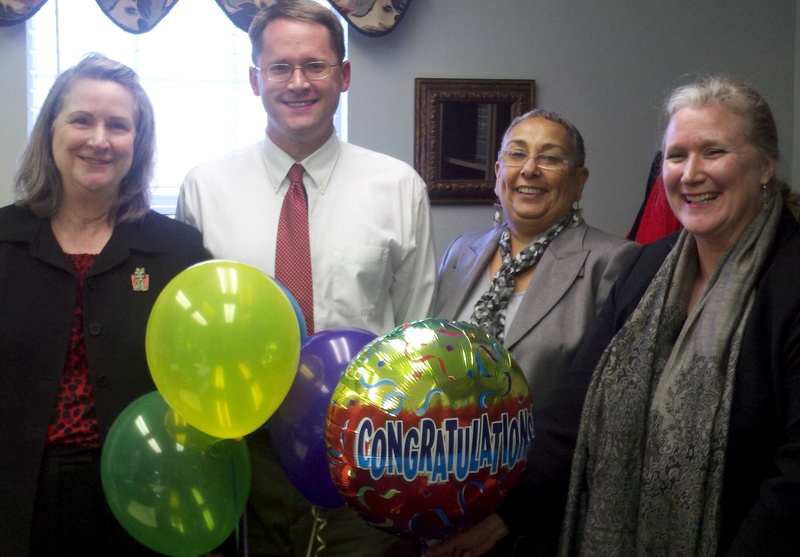 We are pleased to announce that nominations for the 2011 Ellen Hines Smith Legal Services Attorney of the Year are open! The Ellen Hines Smith Award was established in 1989. It is given to a South Carolina Bar member who is employed as an LSC grantee program lawyer who has demonstrated long-term commitment to legal services and who has personally done significant work in extending legal services to the poor. 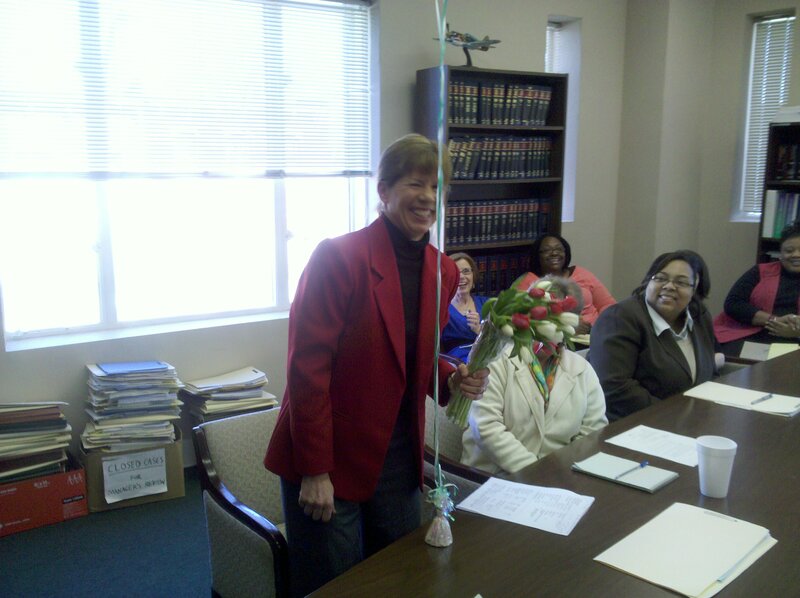 The form is available in pdf at Ellen Hines Smith Nomination Form 2011 or by email request to rwheeler@scbar.org. A SC Bar member who is employed as an LSC grantee program lawyer. The application must be made by October 15, 2011. How do I find out who received the award? Have a favorite Legal Services Attorney? 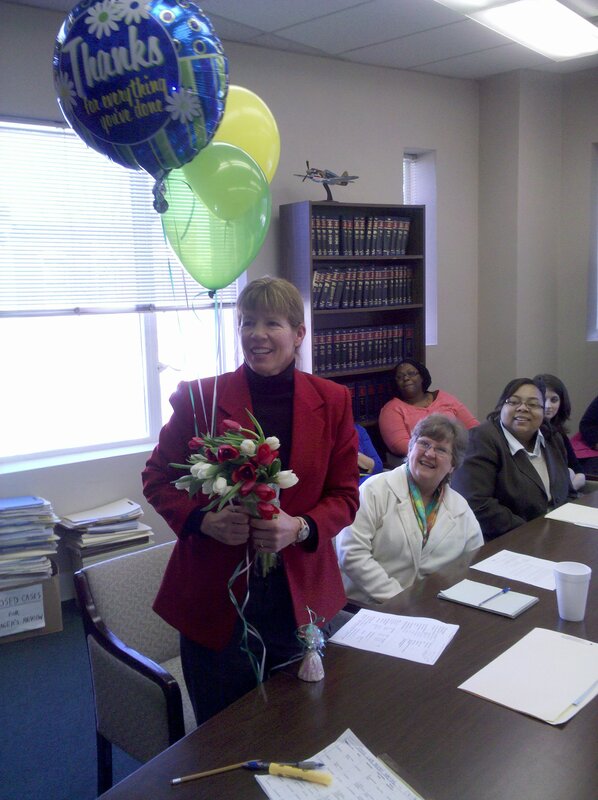 Now’s your time to nominate them for the Ellen Hines Smith Legal Services Attorney of the Year. Award not necessarily granted every year. Who has received the award before? 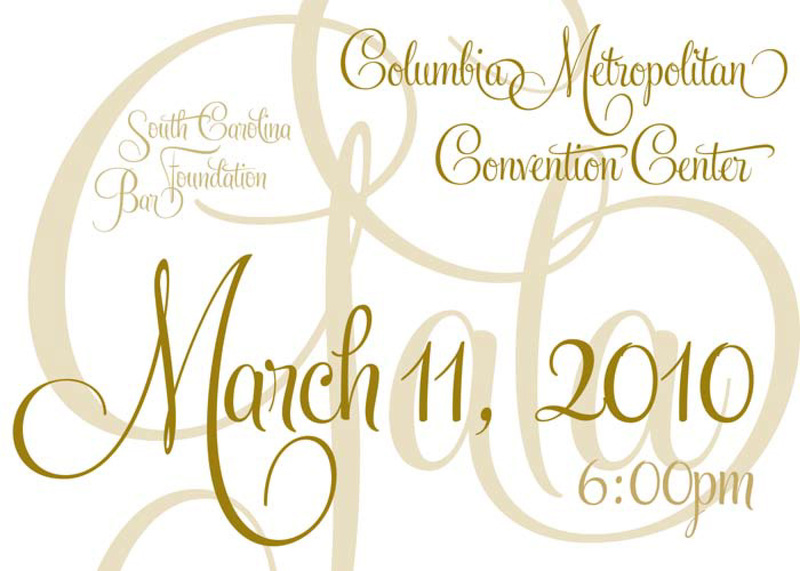 Please join us for a great evening of fellowship and entertainment at 6:00 p.m. on Thursday, March 11, 2010 when our Bar Foundation hosts its 4th Annual Gala. The event will be located at the Columbia Metropolitan Convention Center. 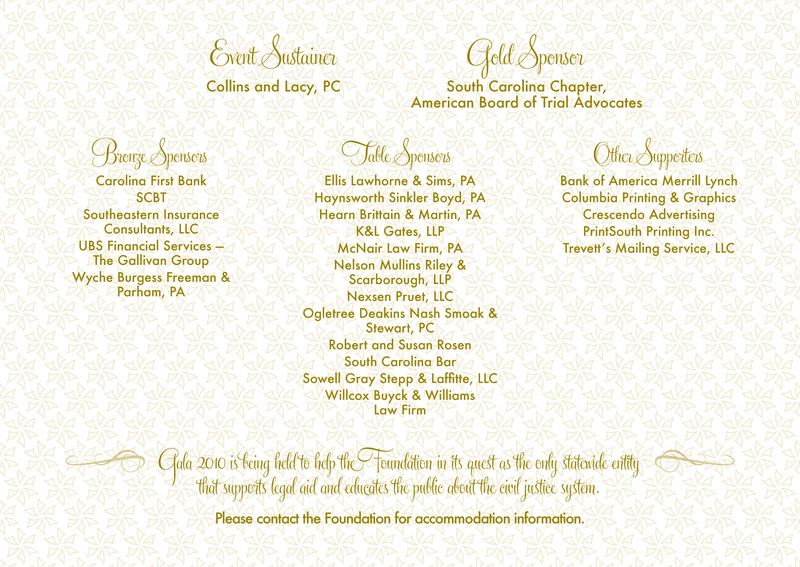 The event will be a great opportunity to celebrate and to learn more about the SC Bar‘s charitable arm. 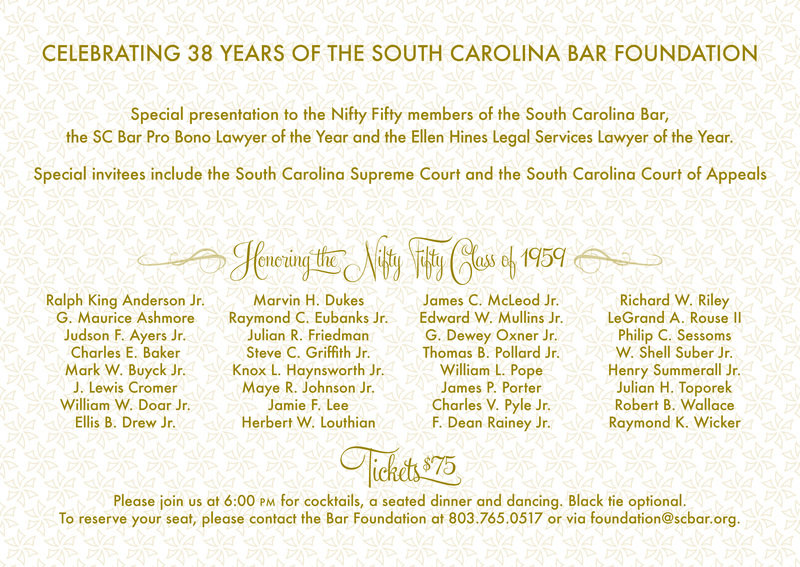 Chief Justice Jean Hoefer Toal will introduce the South Carolina Bar’s Nifty Fifty – the class of 1959. The South Carolina Bar will honor the Pro Bono Lawyer of the Year and the SC Access to Justice Commission will present the Ellen Hines Smith Legal Services Lawyer of the Year Award. Other special invitees include the Supreme Court of South Carolina and the SC Court of Appeals. Individual tickets are $75 each and include an open bar, dancing and a seated dinner (it isn’t your typical rubber chicken, either!). There also will be a silent auction with sports memorabilia (Jack Nicklaus, Arnold Palmer, Derek Jeter, Mickey Mantle, USC’s John Roche), spa certificates, music/film/TV mementos, beach stays, hotel weekends and more! Gala 2010 is being held to help the Foundation in its efforts as the only statewide entity that funds the advancement of justice by improving access, education and accountability. Please make plans to attend. For additional information you may RSVP via (803) 765-0517 or foundation@scbar.org. Most everyone is familiar with Ed McMahon and the American Family Publishers Sweepstakes prize. And some of us waited patiently for him to show up at our door with balloons and an over-sized check. Watching the few lucky prize winners was always a thrill. 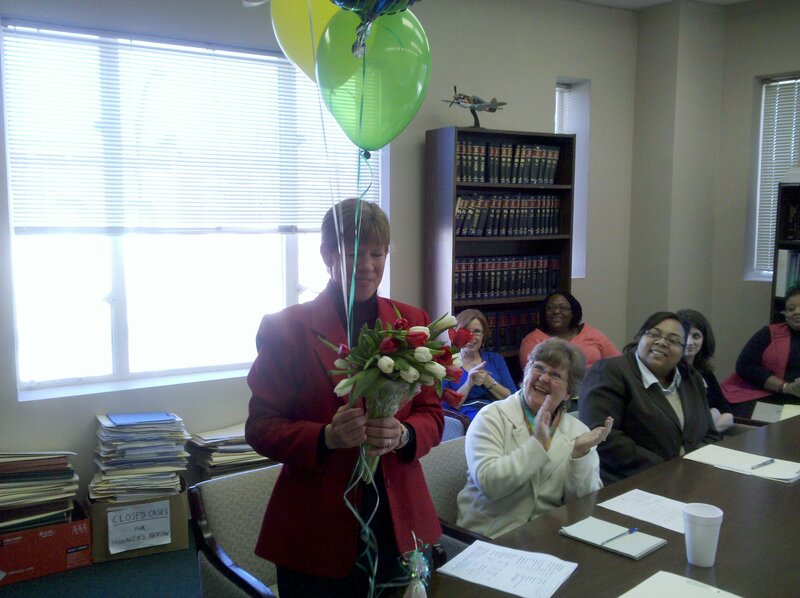 And today I had the honor of delivering balloons and flowers to the 2009 Ellen Hines Smith South Carolina Legal Services award recipient, Maureen White. 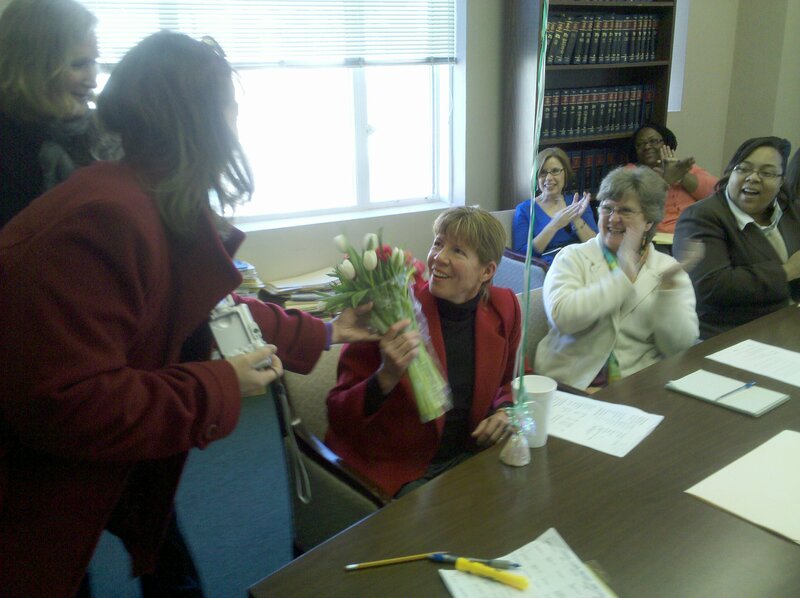 While the official award will be presented at the SC Bar Foundation Gala on March 11, 2010, Shannon Willis Scruggs of the SC Bar Foundation, and I delivered the good news to Ms. White today at the Greenville office of South Carolina Legal Services (SCLS). And wow, what a great feeling! To say that Ms. White was surprised would be an understatement. Below you’ll see some photos as we interrupted the Thursday morning staffing. She moved to South Carolina from Ohio where she had practiced for 12 years. When she started at SCLS: Almost immediately, (no one can remember exactly when), she was fully oriented to the legal aid culture and was building a diverse caseload that has grown beyond all boundaries owing to her famous zeal at case acceptance meetings. The justice system is better for her example, energy and abundant legal skill. 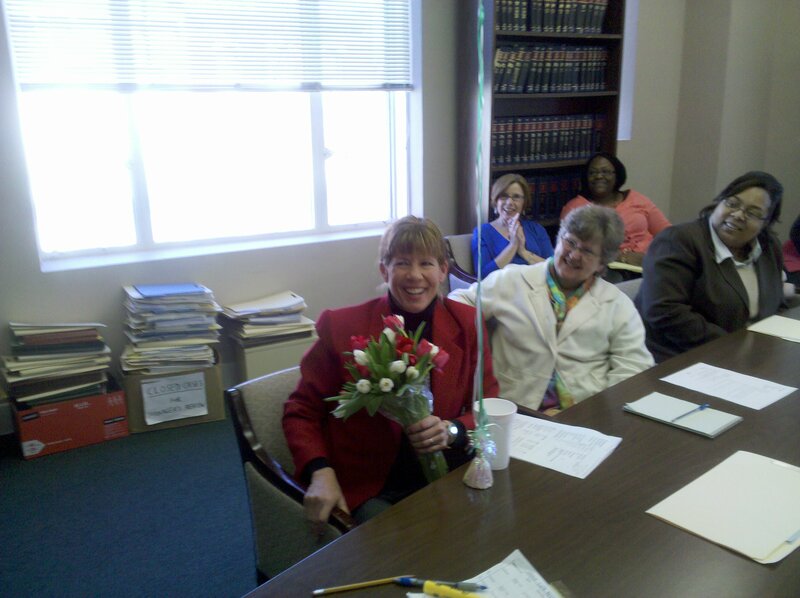 Her humor enlivened every case acceptance meeting. I could not be more impressed with her professionalism and cheerful work ethic – she is uniquely motivated in her desire to help others. Maureen’s most significant achievement on a statewide level has been her work as our Lead Bankruptcy Attorney. When SCLS’ Bankruptcy Roadshow was created by the Consumer Unit, Maureen led the way as we went around the state training SCLS attorneys to handle bankruptcy cases. We significantly increased the number of attorneys handling bankruptcy and the number of clients being served by SCLS filing bankruptcy for them. Once again – congratulations Maureen White! And Ed McMahon – thanks for the inspiration . 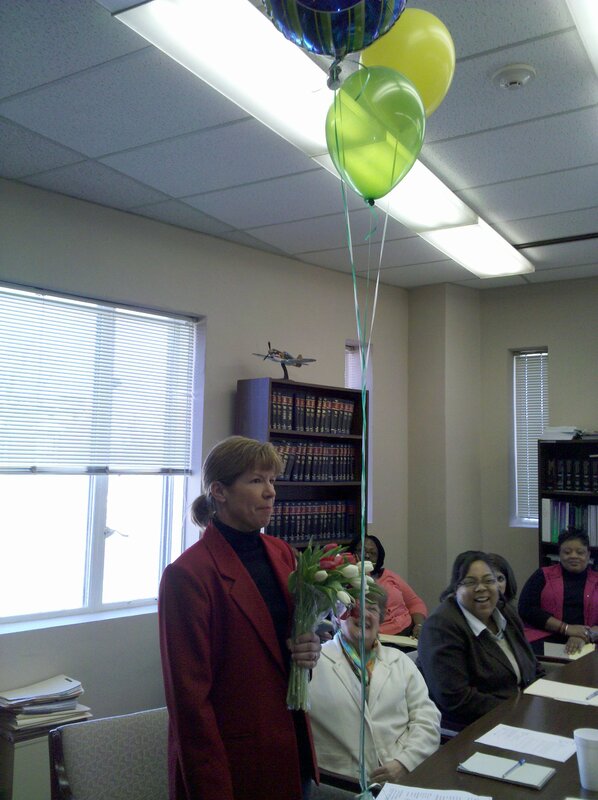 . . it’s a lot of fun to surprise people with flowers, balloons, and good news!